So you want to find the best Comcast approved router? Of course, you do! Who doesn’t want to save money, and have better quality equipment? Today I’ll show you exactly how to find the best router for Comcast high-speed internet, and how to set it up. Your home network has two basic components: modem and wireless router. Your modem establishes and maintains a connection with your internet provider (Comcast), and the router provides you a wifi signal. Often these are separate devices, but it’s just as common to have them combined into one device. ALL modems and modem/router combos MUST be certified equipment by Comcast. However, if you already have an established modem, and simply want to add on a router(or replace one) – then you may buy whatever you like. If your goal, and it probably is….to eliminate Comcast rental fees, then you’ll need both modem and router, or the combo of both. In order to use your own equipment with Comcast, you must select approved equipment. Your device and model must have been a certificate to work well with the Comcast network. If it’s not an approved device, Comcast will not activate it on their system. View the complete list of approved equipment here on Comcast’s site. You will be prompted to log in or enter your zip code and service speed to identify approved equipment. Purchase your new router in a store, like Best Buy, read the box. The outside of the box will clearly state “compatible with Xfinity” and likely will have the Xfinity logo on the box as well. This information should be clearly listed and unmistakable. So don’t worry, you will not need to be a tech guy to be sure the device is certified. Let Amazon do the research for you. Use this link to navigate Amazon’s list of Comcast approved routers on Amazon. Most great routers will fine for most. But you should consider your family’s specific needs. If you need speeds on the higher end, be sure to correctly select a router that can perform at that level. First, consider what download speed works for you? Next, you want to make sure you select a router that has the capacity to relay those speeds. So if you expect heavy usage, or will be using a business or Blast Pro package, you want to buy a router that relays for AT LEAST the level of speed you are paying for. All you need to do is check the specifications for ‘max download speed.’ If your Comcast high-speed internet package will give you 250 bps, then you’ll need a router that has at least a max download speed of 250 bps. If you pay for 400 bps, then get a router that can handle that speed. In order to successfully self-install your new router, you’ll need your account number and telephone number. If you’re not sure, check online to see what Comcast has on file for you. To do this, log in to your Comcast account. Click on the Setting tab, your account number is listed under account info, and your telephone number is shown under account contact info. Please note: if you are a new customer, you should order service, and create an online account, and note your account number and telephone number. Wait for the router to come online. This will vary, reference manufacturer info. Connect to your computer via ethernet cable or via WIFI. You’ll automatically see the Xfinity activation page, if you don’t go to xfinity.com/activate. Process complete. Open a new window to confirm. This is our top pick overall. It really does everything that you can ask. It’s fully compatible with Comcast, as well as most other internet service providers. Is both a modem and router combined. 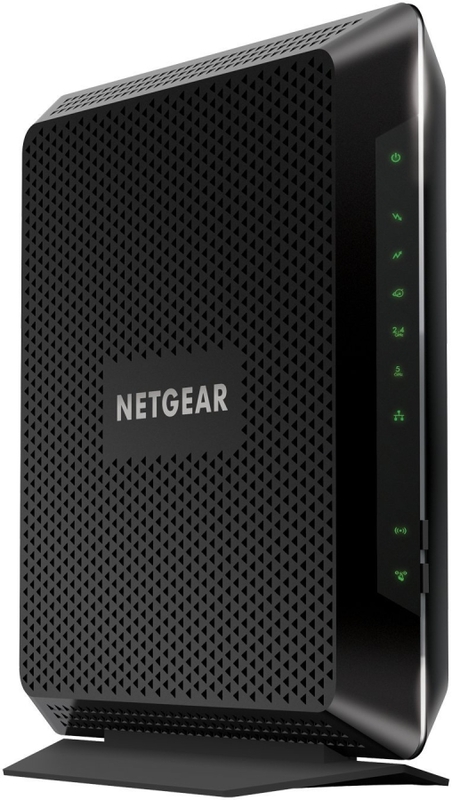 It will provide you with up to 960mbps modem speeds. It has a very powerful wifi speed and is perfect for large family with 10-20 devices, lots of streaming, and high-speed gaming. To see current pricing, check it out here on Amazon. Great website, love the articles! With Comcast rolling out DOCSIS 3.1 at the beginning of 2018, there are 32×4 channel modems that better achieve gigabit speeds (~1000megabits/sec, though Comcast really only provides -940 because of network limitations). And for other folks with plans slower than gigabit speeds but are still buying new modems, they stand to benefit from future-proofing their investments by buying a DOCSIS 3.1 modem. Last, I would like to mention that from a purely performance point of view it is always beneficial to keep your modem and router separate, especially if you’re trying to achieve anything above 100 megabits per second. Modems and routers use CPUs and RAM just like any computer does, albeit ones that are much less powerful than any of our phones or five year old laptops. Many modems/routers run on 1.2 gigahertz dual-core processors, whereas higher-end ones run around 2 GHz on quad-core processors. 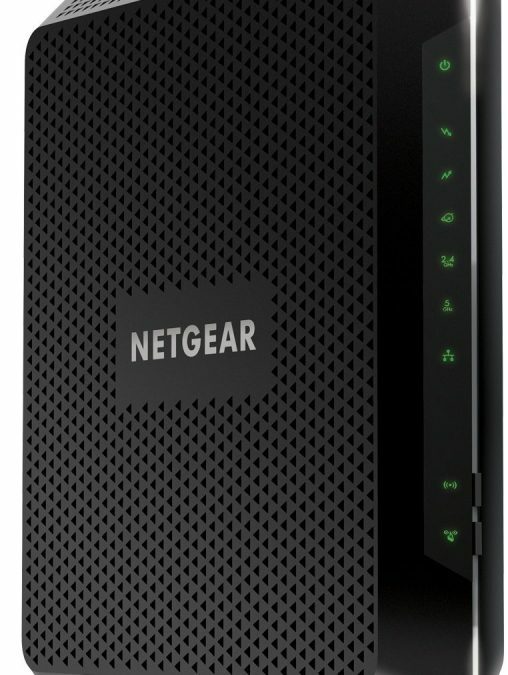 The issue is that we are asking a (relatively) low-powered modem to at once process the connection from the cable company to our homes and maintain a gigabit speed for that connection, and then we overburden that same system by also asking it to route all the different connections that many devices are making simultaneously to that connection. While it is possible to find good modem router combos that are able to achieve this to reasonable degree they will undoubtedly start to suffer when you have more than three connections per household trying to watch Netflix play video games and so on. From a performance point of view, a security point of view, and system control point of view — it is always beneficial to separate your modem from your router and use two separate devices to achieve these two separate goals.